Since I've only been to Disney World once, I have to admit that I am not completely familiar with all of the rides and attractions, so today was hard! 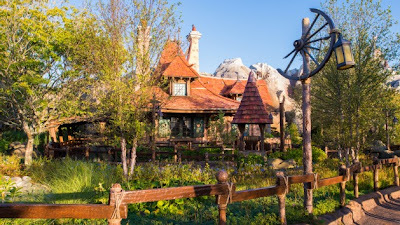 I've decided that we just need to take several trips to both Disney World AND Disneyland, so that I can have a better overall knowledge of the parks. Now accepting donations for the trip fund! 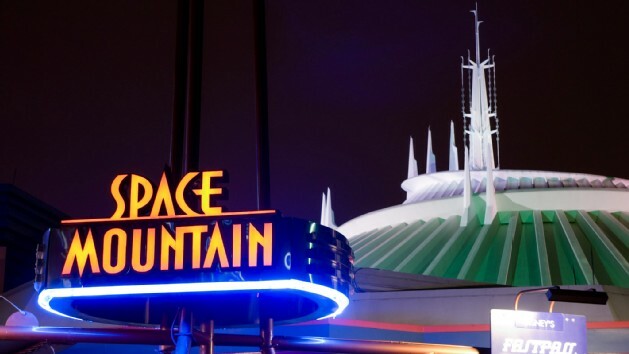 Favorite Ride: I'm going to choose Space Mountain, in the Magic Kingdom. We had the longest wait for this of anything we rode on our Disney trip, but I think it was worth it. The concept is really fun. I can't wait to ride it again, though I'm a little bit terrified thinking about my kids on a dark indoor roller coaster! Favorite Attraction: This I can answer without even having been to this experience yet. Enchanted Tales with Belle is going to be a-ma-zing. I'm secretly relieved that I have a daughter to take to this, because I am pretty sure I would have been clamoring in line with all of the young Disney visitors for my own chance to attend otherwise. Ha!